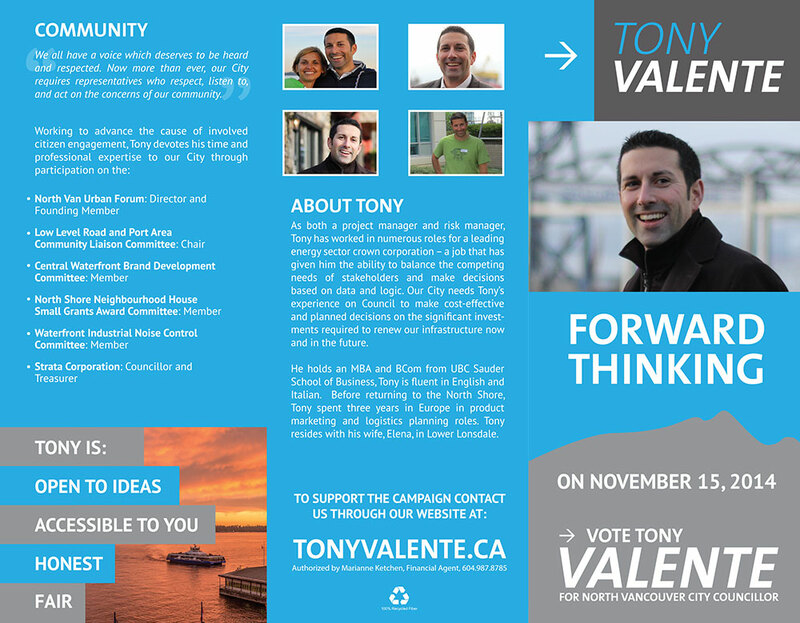 Tony Valente ran for North Vancouver City Councillor in the 2014 CNV election. 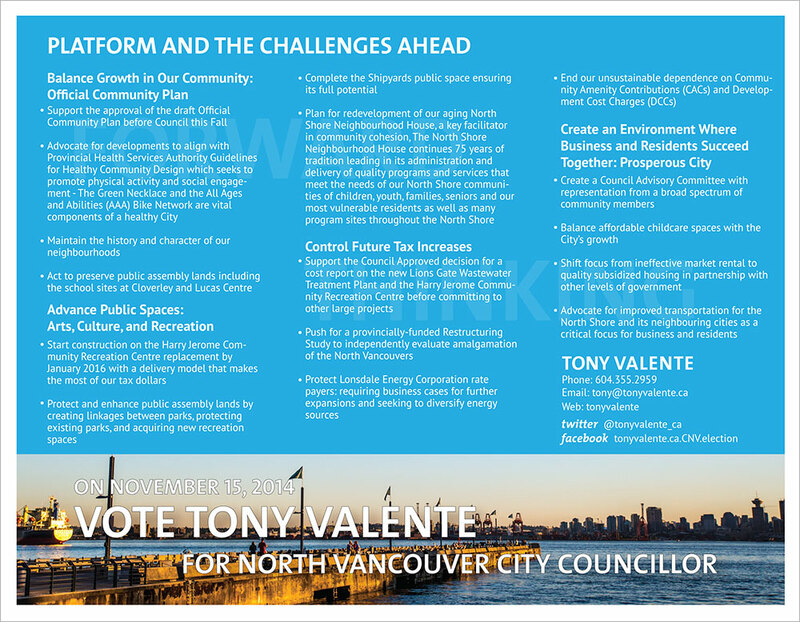 I worked together with Tony and his campaign team to design and develop the assets needed for a full marketing campaign leading up the the election. 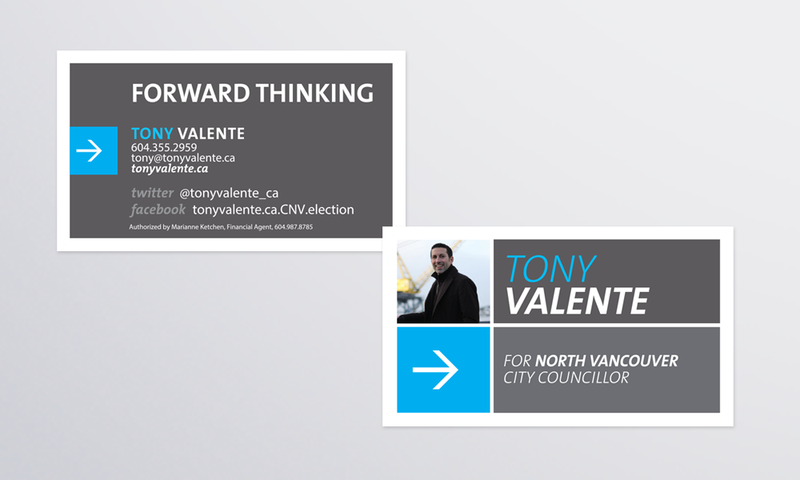 The campaign lasted for several months leading up to the election with marketing materials consisting of business cards, brochures, campaign signs as well as a Facebook & Twitter online advertising campaign. Learn more about design & marketing campaigns.